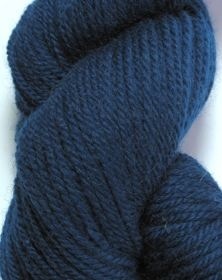 A lovely warm and comfortable cape knitted in pure wool in deep teal blue and cream. 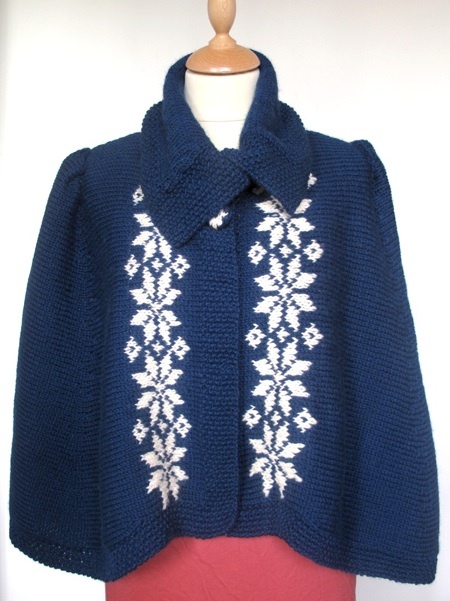 The cape has a snowflake design down the fronts and one snowflake at the centre back. 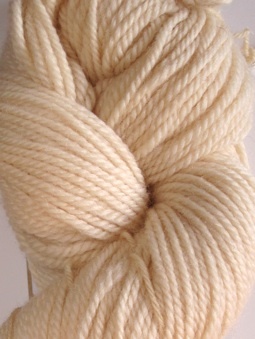 The kit includes all the yarn necessary for the garment and a hardcopy pattern.